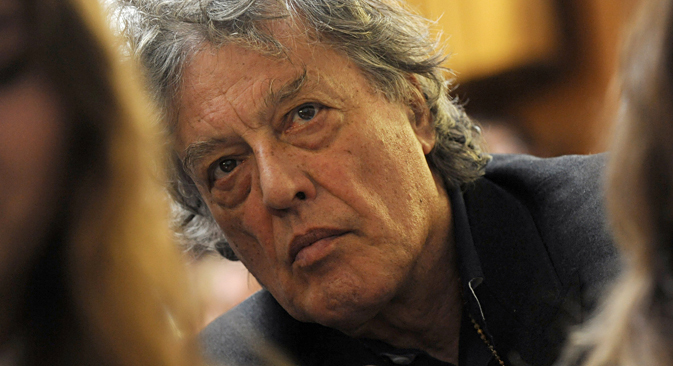 British playwright, director and screenwriter Tom Stoppard has written an open letter in support of Moscow’s Teatr.doc, which faces eviction. Today the Colta.ru website published a text of the letter that Tom Stoppard wrote to support a Moscow theater. In the letter, Stoppard said he was shocked by that the news that Teatr.doc was being turned out of its building. He went on to say that for the English-speaking world, the Russian theater culture has always been a source of inspiration and an object of adoration, but this culture could not appear out of nothing: "It grows out of new voices, new forms, new ideas, and new subject matter." "In Russia Teatre.doc is currently the most important example of a theatre group which, quite apart from the quality of its work which has given it an international reputation, contains the seeds of a vibrant and relevant theatre of the future. It fulfills one of the prime functions of art in society, namely to reflect, interpret and offer a critique of the social environment it lives in," Stoppard said. He went on to add that the future of Teatr.doc could fall victim to "a spirit of reprisal and petty vindictiveness". "With sorrow one cannot help noting that the battle for freedom of expression which had been won in the past has to be fought again by this tiny theatre. As the government’s grip tightens on the mass media, Teatr.doc’s uncompromising stand has marked it out for its enemies. Now it needs its friends, more than ever," Stoppard concluded. Earlier, there appeared an on-line petition in defense of Teatr.doc, addressed to Moscow mayor Sergei Sobyanin. By now, it has collected over 6,000 signatures. Another letter in support of Teatr.doc was written by U.S. writer and critic John Freedman. On Oct. 15, Teatr.doc director Elena Gremina announced that the municipal property department had terminated the theater’s lease agreement without giving any reasons for the move. The officials later explained that the tenant had made unauthorized changes to the building’s interior and structure. According to Gremina, the theater did nothing but comply with an instruction from the fire safety directorate and replaced a large window with a fire exit, without having made any changes to the size of the window aperture.